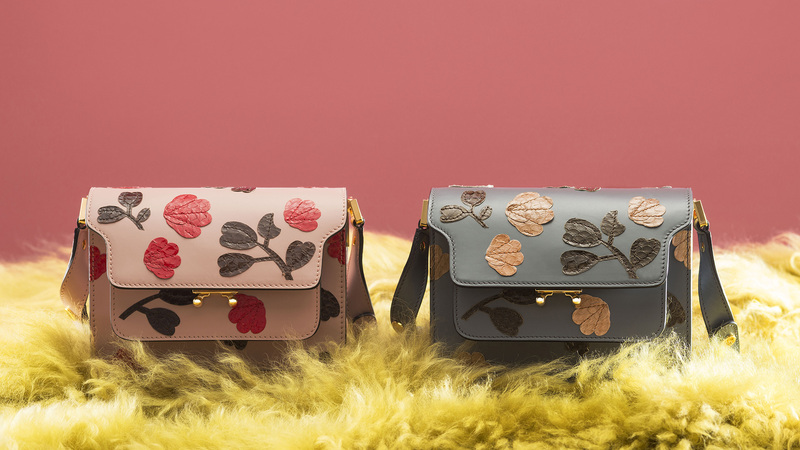 The precise lines and squared silhouette of Marni’s best-loved bag collide with romance inspired by a winter garden. 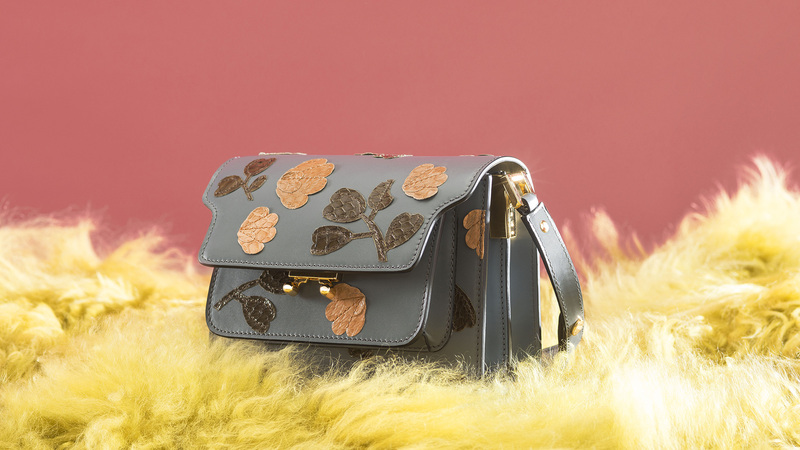 The FLOWER PATCH TRUNK in smooth calfskin is available in two colourways: muted tones of grey and a delicate shade of powder pink. 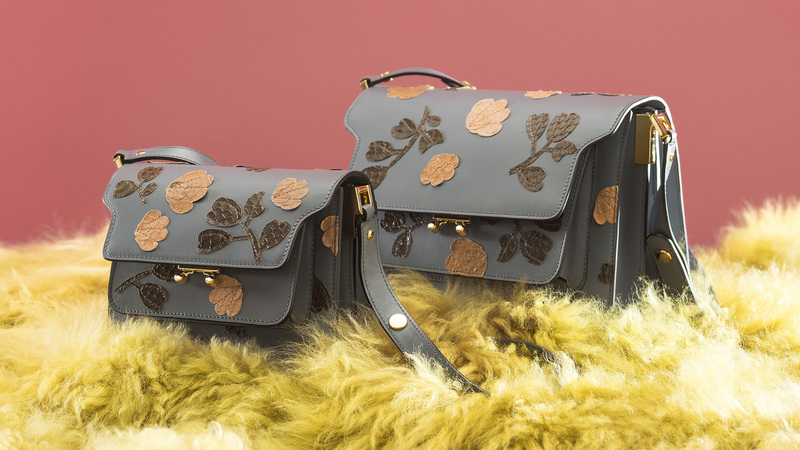 Both versions are embellished with hand-applied flowers and leaves in python leather, creating an interesting contrast of materials and tones. 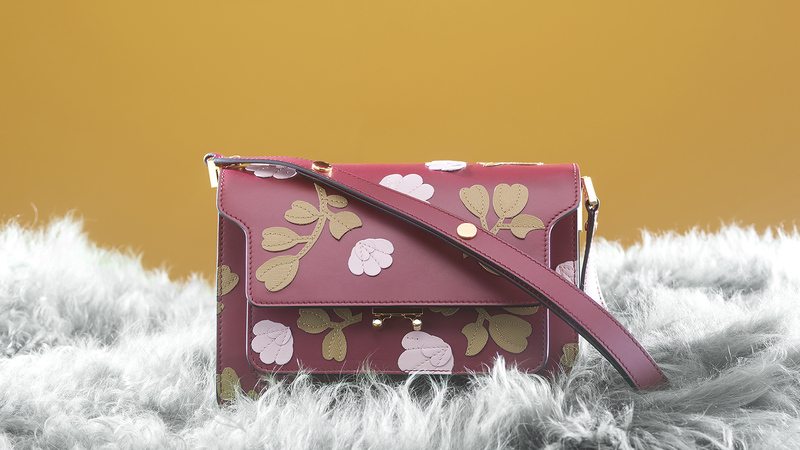 The bag is available in the roomy and functional medium size, as well as the mini version. 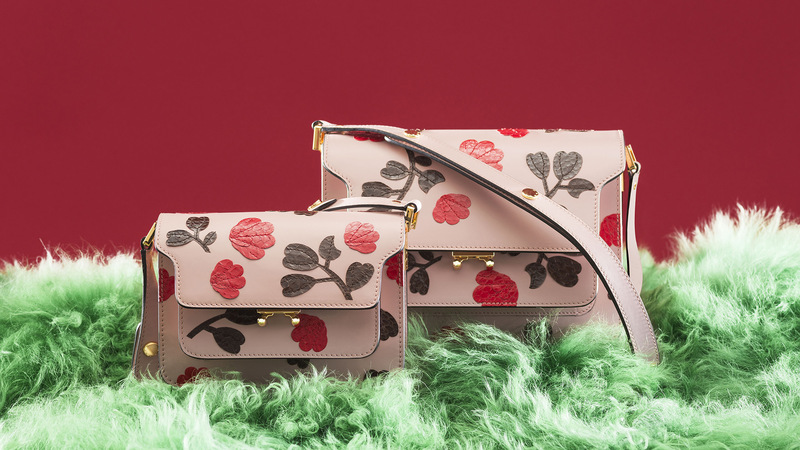 The FLOWER PATCH TRUNK was previewed at Shin Kong Place in Beijing on the 30th of December 2016 and is available in Marni boutiques throughout China from January 1st 2017. 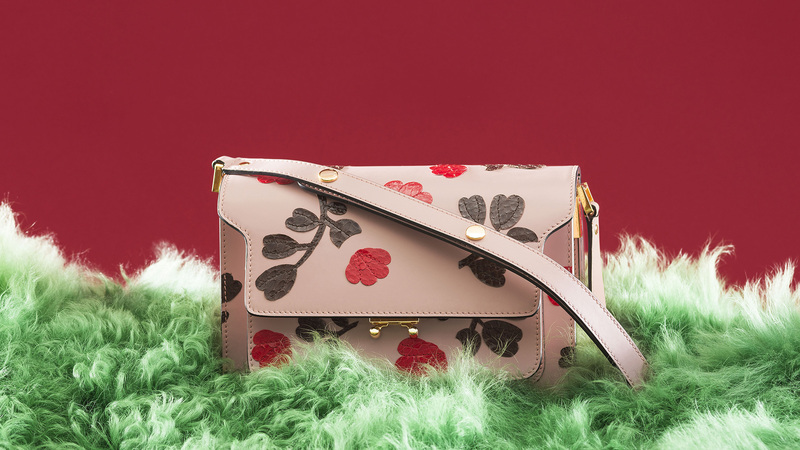 Marni created also a burgundy version of the FLOWER PATCH TRUNK in the medium size, with hand-applied calfskin and saffiano flowers, exclusively for the online boutique Marni.com, available in pre-order from January 11th 2017.